Democrats trying to erase the history of Sen. Richard Russell. WASHINGTON (AP) — A proposal to rename the Senate’s oldest office building for John McCain ran into resistance Tuesday from Republican senators reluctant to take away an honor already bestowed on an earlier Senate titan — and a leader of Southern senators during a tumultuous era in the nation’s history. Besides the proposal to rename the Russell Senate Office building, lawmakers may consider naming a room used by the Senate Armed Services Committee after McCain, who was the panel’s chairman, McConnell said. Another idea is to add McCain’s portrait to a reception room right off the Senate floor, joining such giants as Henry Clay, Daniel Webster and Robert Taft. Only seven senators are honored with portraits there. 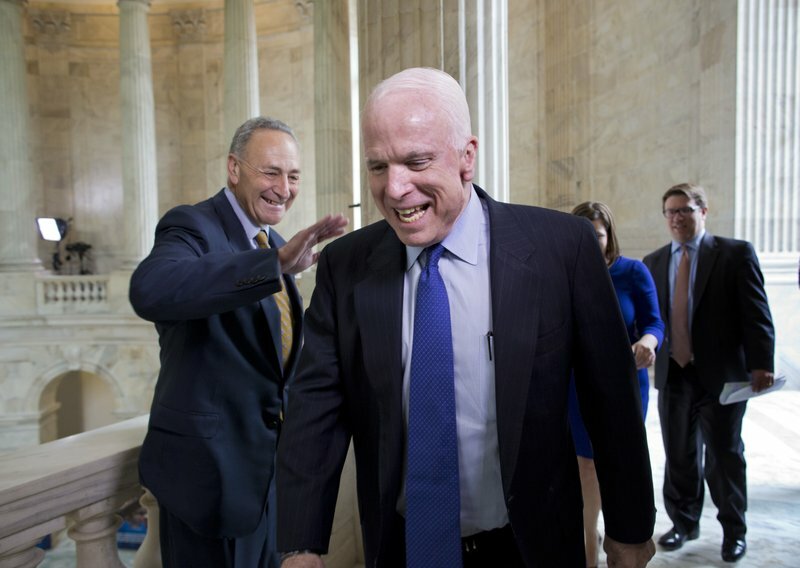 Senate Democratic leader Chuck Schumer had proposed renaming the Russell building in McCain’s honor after the veteran Republican senator died Saturday from brain cancer. The 109-year-old building is named after Sen. Richard Russell, a Georgia Democrat who, like McCain, chaired the Armed Services panel. Russell, who died in 1971, was a segregationist and led Southern opposition to anti-lynching bills and other civil rights legislation, including the 1964 Civil Rights Act. He co-authored the “Southern Manifesto” to slow the integration of public schools after the Supreme Court unanimously ordered it in 1954. Previously known simply as the Senate Office Building, it was renamed in Russell’s honor the year after his death.